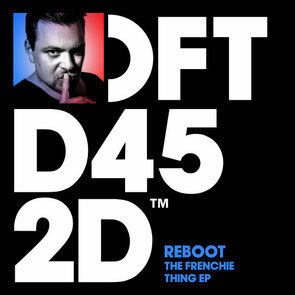 Germany’s Reboot returns with ‘The Frenchie Thing EP’, a three-track release which is out today on Defected Records. Opening the EP, title track ‘The Frenchie Thing’ is a great start and has a looped sample throughout, evoking heady summer nights and thronging, sun-kissed dancefloors. This may well be heard in most places at the forthcoming Miami WMC and long into the Ibiza season, as it establishes itself as a big summer track. ‘Lubricalifornia’ nods to both the house and techno influences as the spoken vocal gives it a sound reminiscent of soulful house tracks with a beat designed for the underground dancefloor. Final track on the EP ‘Hooks N Breaky’ seems to return to Reboot’s musical roots with a more minimal, techno sound.